to receive free notifications on upcoming meetings, committee votes, and legislation referrals for the Senate Community, Economic & Recreational Development committee or any other committee. An Act amending Title 4 (Amusements) of the Pennsylvania Consolidated Statutes, in application and licensure relating to video gaming, further providing for establishment licenses; and, in revenues relating to video gaming, further providing for fees. 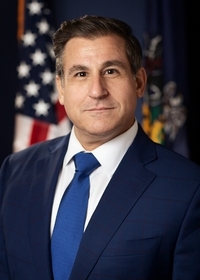 An Act providing for the establishment of Pennsylvania affordable energy development zones and for powers and duties of the Department of Community and Economic Development and the Department of Revenue; authorizing expenditures; and providing for tax exemptions and tax credits. An Act amending the act of April 9, 1929 (P.L.343, No.176), known as The Fiscal Code, in general budget implementation, further providing for Department of Community and Economic Development. An Act establishing the Lead Remediation and Abatement Superfund; and providing for powers and duties of the Commonwealth Financing Authority. An Act amending Title 12 (Commerce and Trade) of the Pennsylvania Consolidated Statutes, in machinery and equipment loans, further providing for definitions, for establishment and for eligibility for loans and terms and conditions and providing for machinery and equipment grants; and making editorial changes. An Act establishing the Manufacturing Competitiveness Board within the Department of Community and Economic Development and providing for its powers and duties; and providing for a Commonwealth manufacturing strategy. An Act amending Title 4 (Amusements) of the Pennsylvania Consolidated Statutes, in revenues relating to gaming, providing for revenue from expansion of gaming. An Act providing standards for carbon monoxide alarms in certain lodging establishments; and imposing penalties.